Even with the rise of digital marketing, direct mail can still be a powerful tool to reach out to potential customers. Many people have a stronger connection with advertising that they can touch and hold versus an online ad. In addition, the fact that fewer direct mail pieces are being sent means that your piece will have less competition in a person’s mailbox — and a better chance of getting noticed. Consider the flow of your text and images when you are designing your direct mail piece. It’s important that they all lead people naturally to the main “selling” point that you want to make. All of your marketing mail pieces should have a call to action that customers are drawn to and can easily understand. Knowing your customer is crucial to the design of your direct mail piece. If you are targeting customers in an older age range, for example, you’ll want to make the text larger so it is easier to read. You can increase the effectiveness of your targeting by making sure you are using mail lists that are highly segmented. These lists are available from companies such as eTargetMedia. Simple things such as testing the recipient’s knowledge or asking them rhetorical questions can keep them engaged in your direct marketing piece. You can also accomplish this by integrating pull tabs, spinning wheels and other interactive moving parts into your mailing. 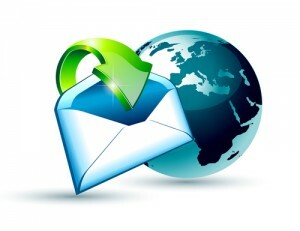 Companies of all sizes turn to eTargetMedia for help with their online and offline direct marketing. eTargetMedia provides email and postal mailing lists that have been vetted and categorized to ensure maximum effectiveness.